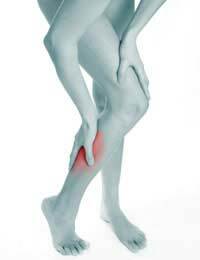 What Paul suffered was a classic ‘overuse’ injury known as a calf strain. In reality, this strain involves a tear in the muscles at the back of the leg that help efficient movement downwards at the Achilles tendon and upwards towards the knee joint. Incidences of such calf injury vary in terms of severity, however commonsense should tell anyone that rest and recuperation are the bare minimum requirements for getting on the road to recovery. However, Paul let his over-eagerness to be back on the road get the better of him and less than a week later, following some stretching during which he says he felt nothing, he went out again. “The first half-mile, I felt nothing. But it wasn’t too long after that that the pain I felt the previous week began to progressively come back in the same spot. It wasn’t that I didn’t know I had an injury, it was just that I didn’t think it would take very long to heal”. Unwisely Paul did not seek the advice of a physiotherapist but instead stopped thinking about running for two months, instead using an exercise bike and then his own road cycle to keep fit without putting too much strain on the calf. It was three months later that he finally went back to running, and one year on has not suffered a recurrence of the injury. That may in part be down to the fact that his exercise regime is no longer centred around running but also takes in cycling and swimming. The aid of a physiotherapist would have speeded up his recovery from the injury and been very useful in terms of identifying preventive measures. Paul, however, feels he has achieved the latter himself but holds his hands up in terms of realising the injury was the result of not seeking advice on his initial fitness programme.